He was taken aback by how successful all of the photographers were at depicting their patient’s lives after heart valve disease treatment. Their compelling images told the story of how their subjects navigated their new found quality of life and the joy they experienced doing the activities they loved. One image in particular really stood out for Chris, as it really captured the pure essence of what it is like to overcome heart valve disease. 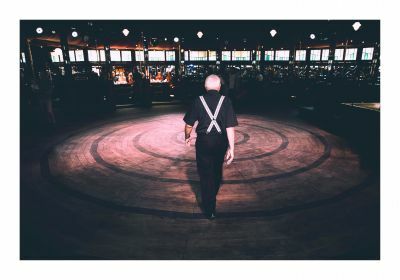 The image was shot by our overall winner Eric Etchart and depicts his patient Alan Tancred as he descends onto the dance floor (his favourite pastime) confidently and defiantly.